The election should dispel any doubts that Israel will grant Palestinians freedom and rights without outside pressure. Now that the results of Israel’s national election is in, it’s becoming increasingly clear that Prime Minister Benjamin Netanyahu has won his fifth term in office (his fourth consecutive term) and will lead the next government, after running a campaign that was once again based on exploiting racism and xenophobia against Palestinian citizens of Israel and other non-Jews. It’s also increasingly clear that Israeli society’s descent into right-wing extremism and fascism continues, with President Donald Trump cheering from the sidelines. During the campaign, Netanyahu once again made unmistakably clear that he believes Palestinian citizens of the state, like myself, who make up about 20 percent of Israel’s population, are second- or third-class citizens, unwelcome outsiders in our own land. In response to a recent social-media post by an Israeli actress about Palestinian citizens of Israel, Netanyahu wrote that “Israel is not a state of all its citizens,” but rather it “is the nation-state of the Jewish People—and them alone”; this was a reference to the “nation-state” law passed last summer. A few days later, echoing the calls of right-wing extremists who want to ethnically cleanse Palestinians from Israel and the occupied territories, he declared that Palestinian citizens of Israel “have 22 other Arab countries” where they can go live. 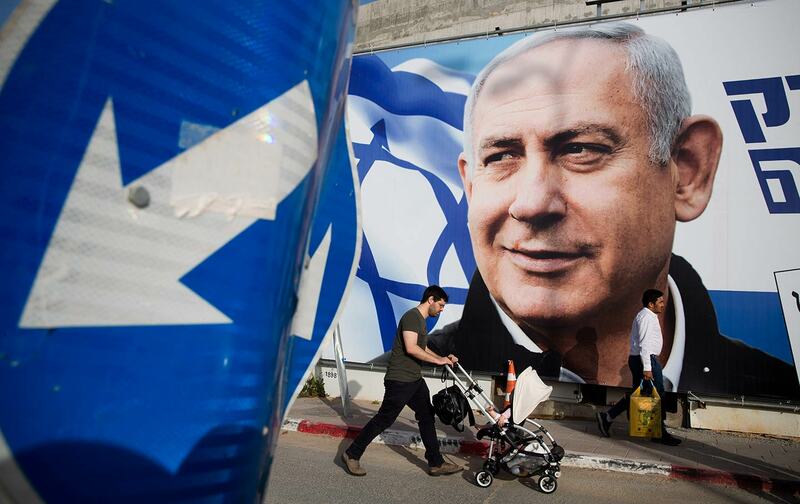 Even more alarming, Netanyahu engineered a deal that will end up bringing the overtly racist and fascist Jewish Power party—whose members advocate the expulsion of Palestinians—into the next government if he forms it. Jewish Power leaders are disciples of the notorious right-wing extremist Meir Kahane, whose Kach party is considered a terrorist organization by the US government. After surviving mass ethnic cleansing during Israel’s establishment in 1948, Palestinian citizens of Israel must now face the likelihood that advocates of what Israelis euphemistically call “transfer” will hold senior positions in the next government. For years, as Israel has tried to avoid being labeled an “apartheid” state internationally, Israel’s government under Netanyahu has implemented measures to cement a regime that systematically discriminates against non-Jews, in both the occupied territories and inside Israel’s pre-1967 borders. Last summer, Israel’s parliament (of which I am a member) passed the “Jewish Nation-State law,” which might be more accurately called the Jewish Supremacy law. It enshrines in Israel’s quasi-constitutional laws the supremacy of Jewish citizens and openly declares that the right to self-determination in Israel is “unique to the Jewish people.” This is akin to Congress officially declaring that the United States belongs to white Christians only, with inferior status afforded to nonwhite, non-Christian citizens—including indigenous Americans. The passage of the nation-state law, which is now being used to justify racism toward Palestinian citizens of Israel, comes in addition to some 60 other laws that already discriminated against us in practically every aspect of life, from housing and employment, to education, health care, and family reunification rights, many of which date to the founding of the state. With Netanyahu’s next government promising to be even more hard-line and extreme than the last, our plight will surely worsen even further. While Netanyahu and other Israeli leaders continue to drift to the far right, Palestinians in Israel are working towards a future where Jews and Arabs can live together in freedom and equality, regardless of their race or religion. Last summer, shortly before the nation-state law passed, I introduced a bill calling for full equality for all Israeli citizens, and one of my fellow Palestinian Knesset members introduced a separate bill calling for Israel to be a state for all of its citizens. In our inclusive, multicultural vision, racial, ethnic, and religious differences would be appreciated, so that all children grow up feeling valued by society. The state’s wealth would be invested equitably for the benefit of all. Arabs and Jews would enjoy the same opportunity to have a good job, a home, and a dignified life. Arabic and Hebrew would be on the same footing as official languages, and state symbols would be inclusive and not reflect the identity of one group to the exclusion of others. Under my (party’s) political platform, Palestinians in the occupied territories would enjoy self-determination in a state alongside Israel, and Palestinian citizens of Israel would enjoy full equality. In the end, my bill was voted down, and my colleague’s was banned even from being debated. Yet we persist, because we have no other choice. We cannot abandon our children to a future of permanent second-class status and subjugation. After more than 70 years of systematic dispossession and discrimination, and more than 50 years of brutal military rule over millions of disenfranchised Palestinians, it is finally time for the world to acknowledge that Israel has established a full-blown apartheid regime in the occupied territories that is creeping into Israel itself. The results of this election should dispel any lingering doubts that Israelis will ever grant Palestinians our freedom and rights without significant outside pressure. The reactionary ideology that dominates Israel—of racism and religious superiority—must be rejected. Israeli leaders must be sent the unequivocal message that apartheid was wrong in South Africa and it is wrong in Israel/Palestine, too. It is time for the international community to stand in support of Palestinians who are working for an inclusive, progressive future, where all the peoples of the Holy Land can live in freedom, with justice and equality. Yousef JabareenYousef Jabareen is a member of the Israeli Knesset from the Hadash party.